bahut hai yaari, originally uploaded by amulya. 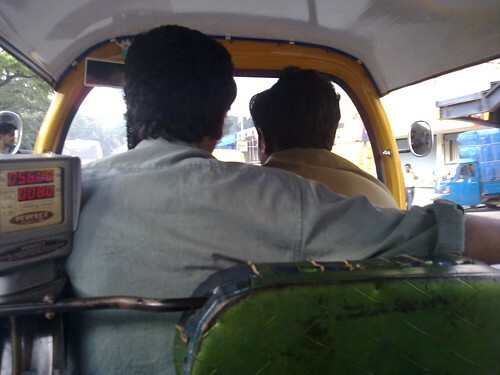 As homophobic as Indian men are, they wouldn't think twice to ride like this with another guy. That is perhaps the best and the worst thing about them. They walk around holding hands and arms on each others shoulders, or sit in close quarters like this and nobody blinks. But a guy and a girl even walks close together... how have we survived with all these contradictions.